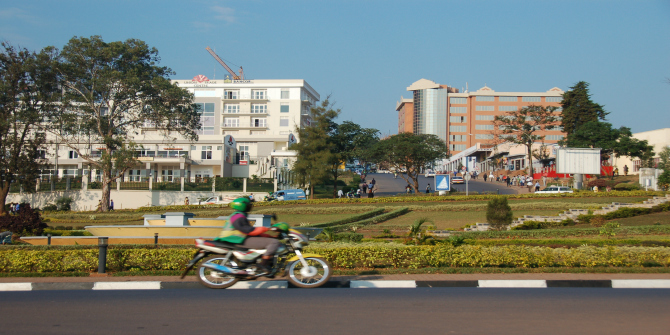 If development is predicated upon sustained economic growth, how can this be achieved? 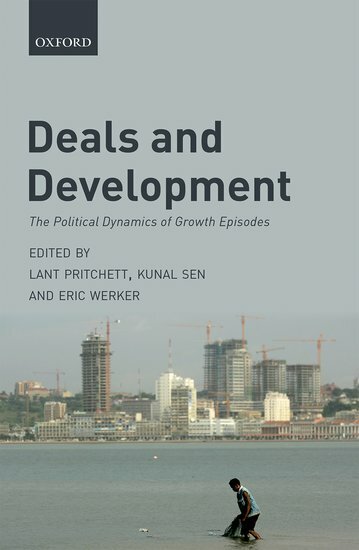 In Deals and Development: The Political Dynamics of Growth Episodes, editors Lant Prichett, Kunal Sen and Eric Werker bring together country experts to examine how businesses have engaged with the state to both constrain and enable growth episodes across ten African and Asian countries. While the book draws on global expertise and actual practices of state-business engagement to superbly illustrate the importance of sustained growth, Alice Evans explores three fundamental questions that the text raises. Deals and Development: The Political Dynamics of Growth Episodes. Lant Pritchett, Kunal Sen and Eric Werker (eds). Oxford University Press. 2017. Development requires sustained economic growth. This is the key difference between rich and poor countries. So, what causes it? For starters, growth requires an ‘ordered’ business environment: incentivising investment with assurance that state officials will honour their promises. But such growth will only be sustained if business environments become more ‘open’: more competitive, less reliant on political connections. 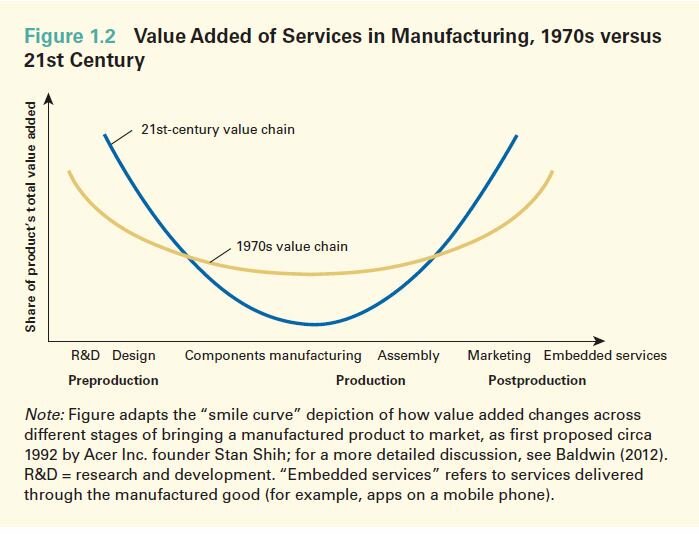 This open, ordered environment will foster competition, longer-term investments, higher productivity as well as more complex products and services. Or so claim Lant Pritchett et al in their fascinating new collection, Deals and Development: The Political Dynamics of Growth Episodes. Departing from earlier studies on the institutional determinants of growth, this book does not focus on de jure regulations. Given the chasm between rules and practices, the editors instead invite country experts to explore how businesses actually engage with the state, constraining/ enabling growth, both now and historically, in ten African and Asian countries. The chapters highlight the importance of business associations: pushing for collective interests rather than individual patronage. In Bangladesh and Cambodia, garment manufacturers have collectively lobbied for industry-specific reforms to reduce the costs of doing business and to make export procedures more streamlined, transparent and less onerous (i.e. a more ‘ordered’ business environment). ‘What we have in the garment industry currently is extremely efficient, transparent, predictable corruption,’ explained a Cambodian participant (echoing a wider sentiment). By contrast, there are no strong manufacturing associations in Ghana, Liberia, Malawi and Uganda. Hence there is little pressure on political elites to reduce the costs of doing business and create more enabling environments. Do Pritchett et al show that open, ordered deals sustain economic growth? Can their policy recommendations promote inclusive growth? Does this focus on in-country obstacles neglect global public goods? First, I’d welcome more rigorous analysis of the relationship between open, ordered deals and economic growth (controlling for other variables). The chapters are quite descriptive: introducing jargon; typologising sectors and deal spaces; quoting participants on cumbersome processes; but not always showing or explaining how shifts impede/ enable sustained economic growth. Unfortunately, contributing authors also do not use shared metrics of ‘openness’ and ‘orderliness’. Given that they may apply different thresholds, we lack a systematic analysis across country case studies and time periods. Furthermore, some chapters suggest that open, ordered deals are neither a necessary nor sufficient condition for growth. Bangladesh is described as ‘ordered’ since 1975; so why did growth only soar post-1996? More recently in Bangladesh, deals are becoming less open, less ordered; so why is economic growth still high? Conversely, Ghana’s economy was ‘disordered and closed’ between 1966 and 1974; so why did it grow? Meanwhile, Uganda’s competitive domestic sector is described as ‘semi-ordered and open’, but this is no panacea: high transaction costs thwart business growth. Likewise, most country case studies are said to have semi-open, ordered competitive export sectors (‘magicians’). So why have Uganda, Rwanda or Ghana not enjoyed manufacturing growth? Pritchett et al suggest that it is due to the absence of manufacturing firms collectively pushing for productivity-enhancing industrial policy, but this seems rather circular. Further, is Malaysia’s growth deceleration entirely due to a political change? Or did once-strong textiles dwindle when investors flocked to lower-wage Vietnam and China? We also know that cronyism and corruption do not necessarily impede sustained growth: look at East Asia, especially China. Nor is investor confidence in state protection of property rights required to kickstart markets. In China, such institutions only emerged as state officials sought to sustain existing markets and attract better quality investment – as detailed by Yuen Yuen Ang. Okay, so what about their policy recommendations? Among other things, Pritchett et al push for stronger business associations, which might then lobby for better industrial policies. Also, business associations are not necessarily pro-poor. They may successfully lobby for deregulation, tax exemptions, labour repression and wage suppression. The book – focusing on aggregate growth, rather than distribution – omits this risk. Manufacturers are squeezed by buyers’ short-term contracts, low prices and late penalties. Indeed, from 2005-2016, the real dollar price paid per blouse imported from Vietnam to the USA declined by 29 per cent. This curtails manufacturers’ profits, incentivises governments to resist wage hikes (to maintain competitive prices) and thereby curbs workers’ consumption and growth. In sum, the book superbly illustrates the importance of sustained growth, draws on global expertise and focuses on actual practices of state-business engagement. Going forwards, I’d love to see more systematic research on this question (also attending to distribution), on problem-driven iterative adaption for growth and on global public goods. Alice Evans is a Lecturer in the Social Science of Development at King’s College London. She researches inequality, social change and global production networks. Read more by Alice Evans.